UK retailer Marks and Spencer (M&S) has appointed Alison Jones to a newly created position of brand director of general merchandise. 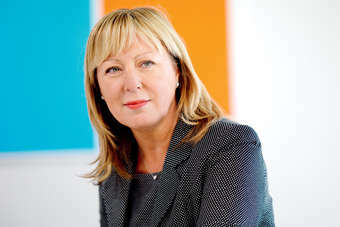 Jones was previously group marketing director of Arcadia Group, and was marketing director of Debenhams prior to that. The appointment is part of chief executive Marc Bolland's plans to reinvigorate the retailer's own label brands as 'M&S Man' and 'M&S Woman'. "Marc gave out a very clear strategy for the business in November, and part of this is to refine the clothing brands and move them from being labels to being brands." a spokesperson for M&S told just-style.